BUY AT YOUR SELLER OF CHOICE HERE. ROMANCE, SUSPENSE, ACTION, HUMOR, EROTICISM! 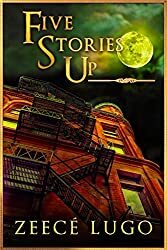 All served in a fast-paced read that will keep you coming back for more. Enter the world of Maxim & Angelica when you plunge into the riveting 2nd installment of the Angel’s Guardian Series. 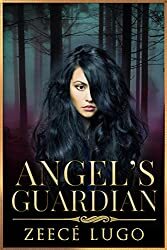 Book 2 of the Angel’s Guardian Series is here! 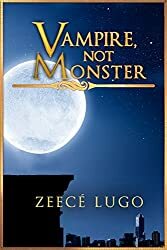 This is a Paranormal Vampire Romance set in the present. Not suitable for younger readers, it has explicit sexual content. Approx 70,500 words. 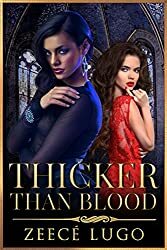 Thicker Than Blood picks up where Angel’s Guardian ends. Angelica is thrilled to accompany her beloved vampire to his homeland. She hopes the visit will help him come to terms with his family, and settle once and for all, the problems that plague them. Hours after they arrive, she discovers that the world she has entered is full of danger and intrigue. A trap is set for her, and she falls into the hands of Maxim’s evil enemy. She watches in horror as she becomes the lure used to bring her beloved vampire to his death. Angel held baby Marco close. The weight of his sleeping, warm little body was a comfort to her. The cool breeze sweeping in from the ocean and the soft crashing of the waves upon the shore were a lullaby to his ears. She learned soon after their arrival that nothing soothed and lulled him into a deep slumber like the sound of the ocean. From her place by the shore, she could see the old-world palace perched on the headland, high above the surf. The narrow trail leading up to it was white under the light of a brilliant crescent moon. The windows and doors of the cliff house were wide open, and the soft glow of fire-light was warm and inviting. They had arrived, she, Max, and the children, four nights earlier. Angel expected dark dungeons, clanking chains, and dour old housekeepers. She’d been thrilled to find the place beautiful and the welcome warm and gracious. Her young daughter, Nina, was immediately drawn to the ocean. At Angel’s side, she skipped in joyous wonder, picking up seashells and running after a receding wave only to be chased back giggling and screeching by the next one. She smiled at her precocious daughter’s antics. The child’s new confidence could be laid at one vampire’s door, and she was going to have a talk with him about it. Maxim needed to understand that Nina was human, and certain physical limitations went along with that state. Beyond the shadows ahead, something moved. Angel went still, her senses warning her. “Nina, come. Be quiet.” The girl, too smart, her survival instincts sharpened by experiences no six-year-old child should have, immediately went silent and reached for her mother. “Careful there,” the startlingly handsome stranger warned, reaching out to steady her. “You do not want to drop the babe.” He spoke in the refined, old-fashioned, accented English that she’d first heard from Maxim. All the vamps seemed to speak that way. She’d not heard a contraction in days.